The boots are wrong at the moment, and I've mixed pea-dot with Heer (my Oma is convinced that she saw Heer wearing pea-dot certainly in the last stages of the conflict around Berlin, and my matriarchal Oma is always right hahahaha). The jacket is a Swedish conversion I done. Attacked it with a sewing machine, dyed it a greener colour and added insignia. I've still to adjust the collar and cuffs. 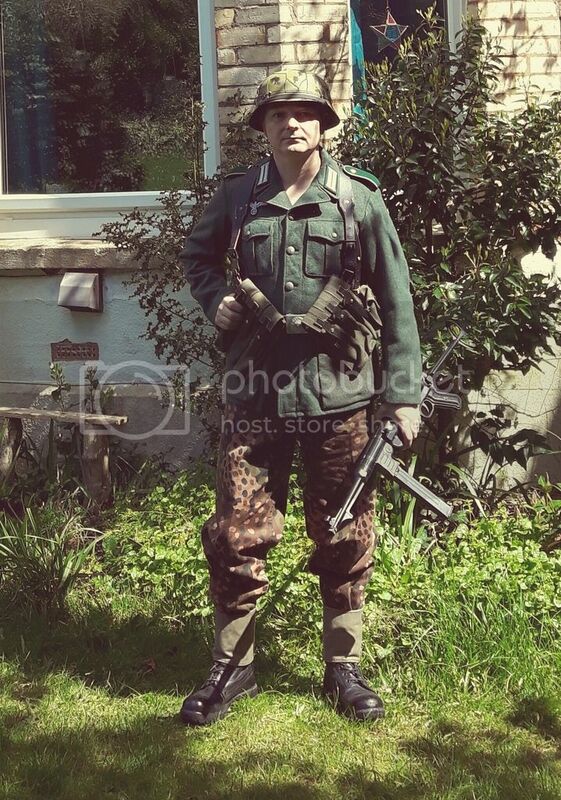 Anyways not too fussed with 100% accuracy as its only for airsoft and not reenactment.